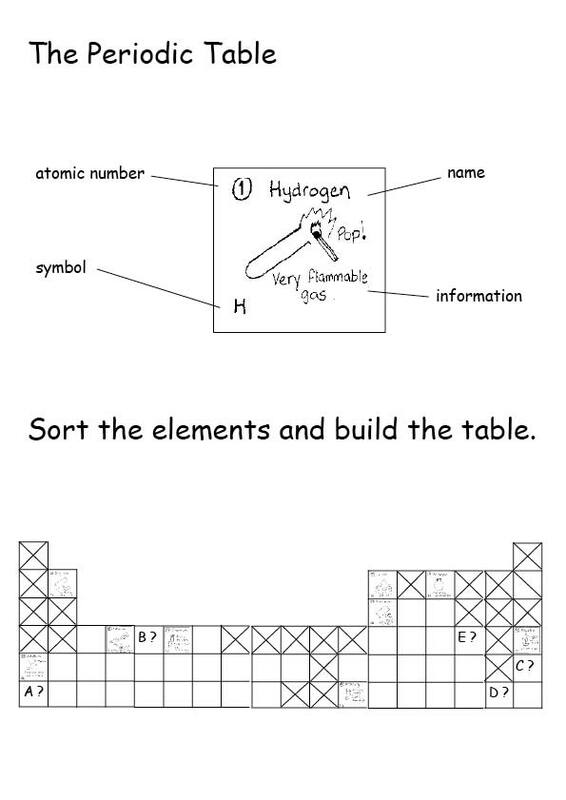 Science: Chemistry activities online to try out as they are, or adapt for your own classrooms. You will find free downloadable activities here which we hope you will be able to fit into your schemes of work. We also hope you will find ways of developing similar activities on other topics. We would be very pleased if you could send any new activities for us to post online or a link to your website if you prefer to post the activity online yourself. We have started to add the activities recently developed with colleagues in Medway an presented at ASE conference. We'd really welcome comments and feedback. We have provided a brief summary of the activity. 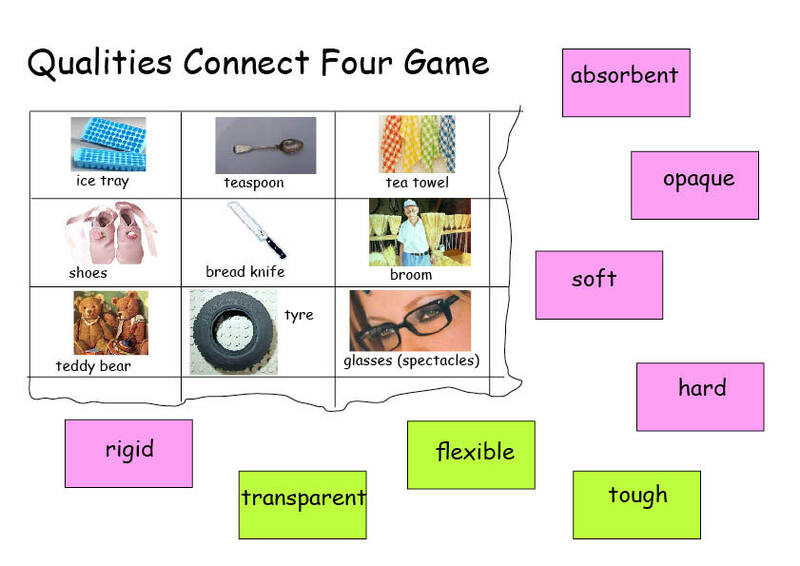 The full activity is in insecure pdf, and contains teacher and pupil instructions. You will need in some cases to copy resources on coloured card although we are producing an increasing number of activities in colour which you can print directly and then laminate if you wish . 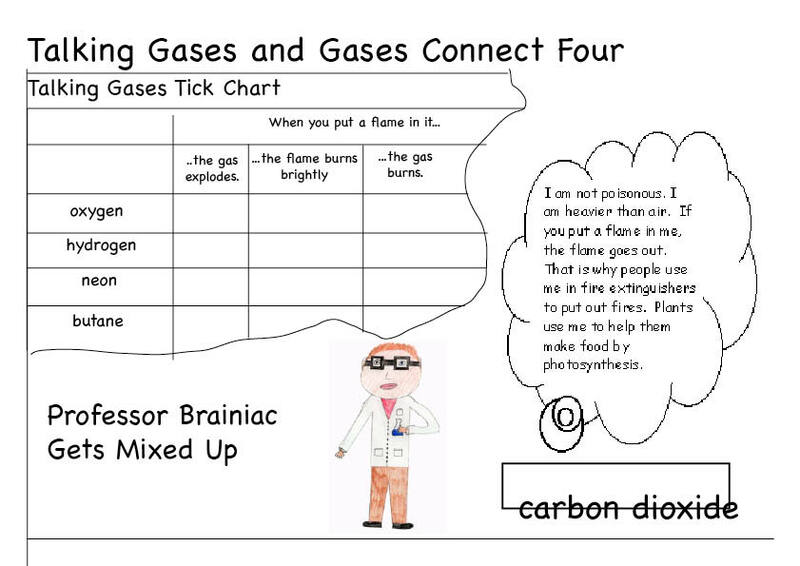 A series of cluecards toencourage pupils to share information to fill a table about different substances. Domino game with closed ends to discover facts about burning. Sorting activity around descriptions of different states. 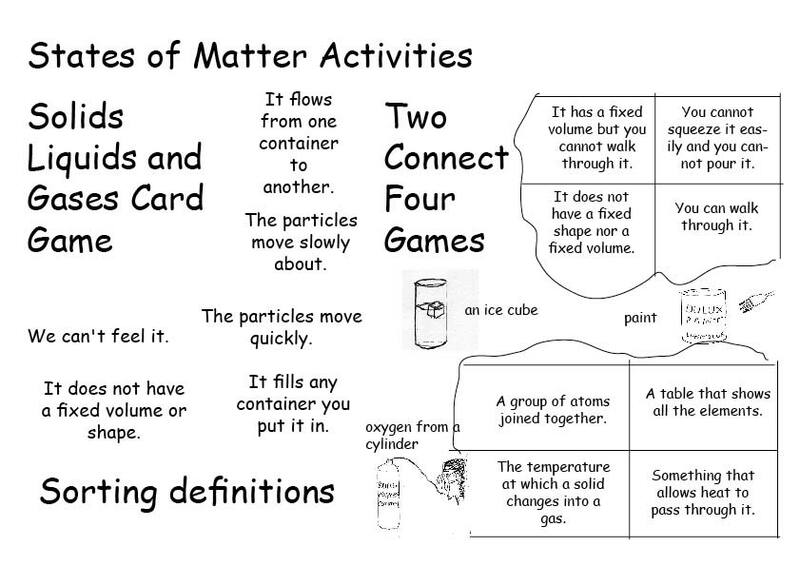 A series of activities: sorting and matching, connect fours etc all related to defining and describing different states of matter. 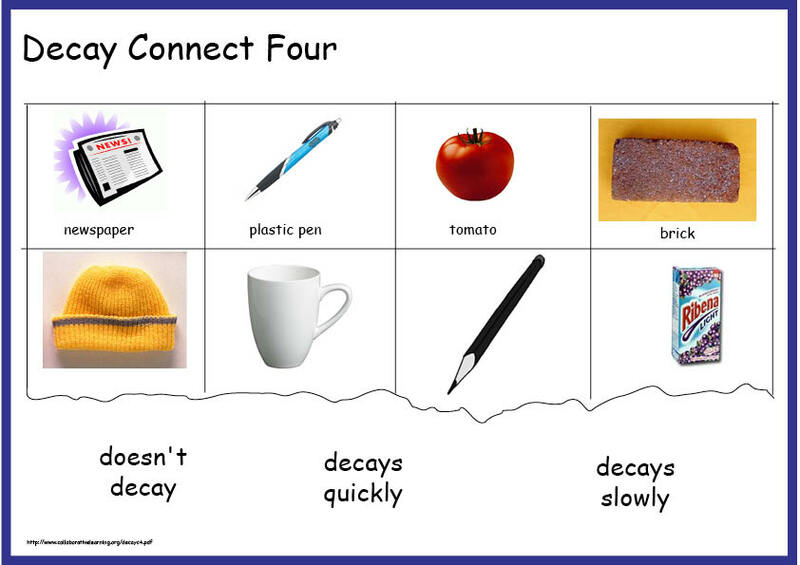 How fast do things decay? Are there things that don't decay at all? 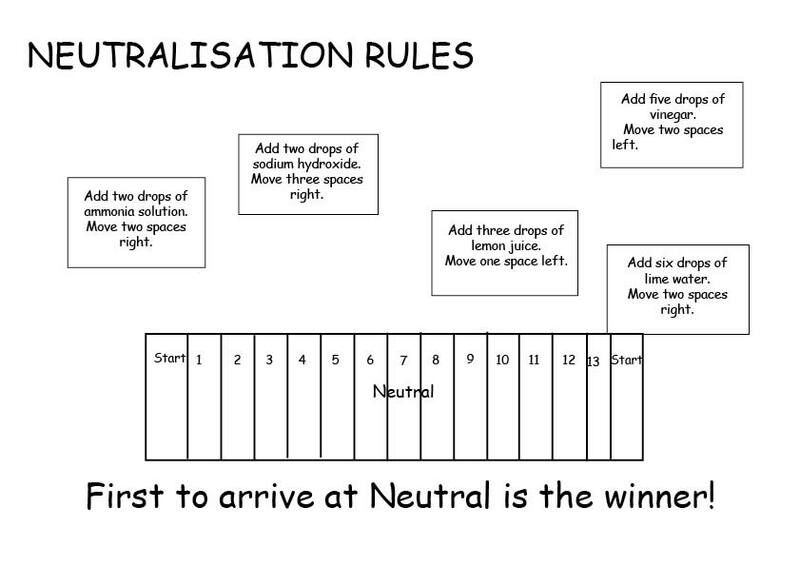 An activity that can produce a lot of discussion but also very accessible to beginners. 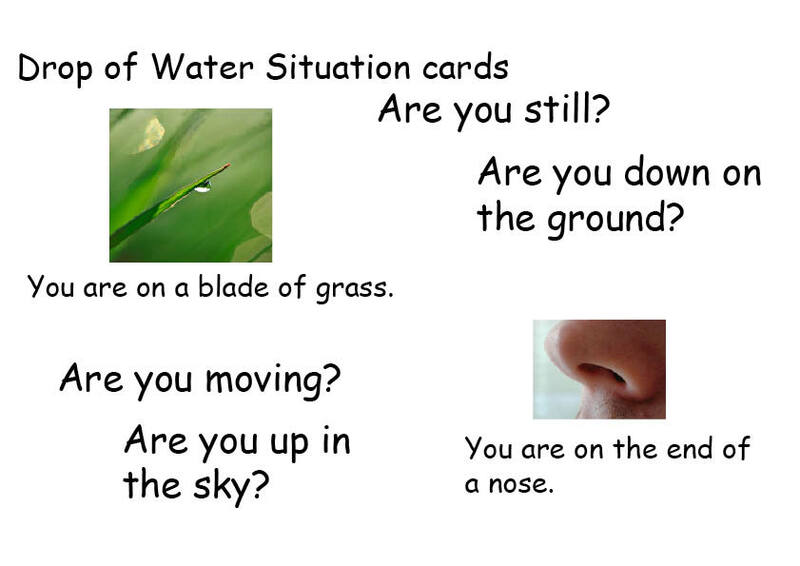 A role play activity where pupils become drops of water and discuss where they have been and where they might be going. Originally designed for Year 2 but works right up the age range. 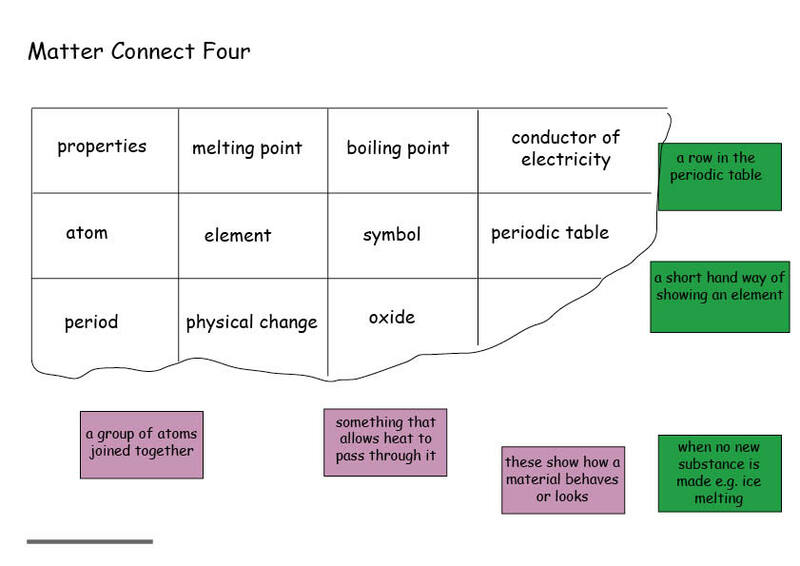 A revision exercise on the properties and behaviour of matter. 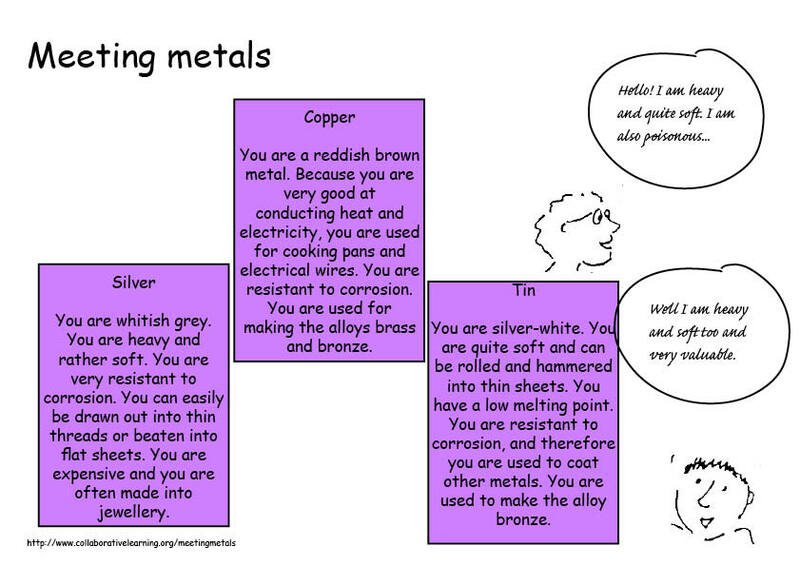 Character card activity where you become a metal and introduce yourself in role to others. Can you get back to neutral? 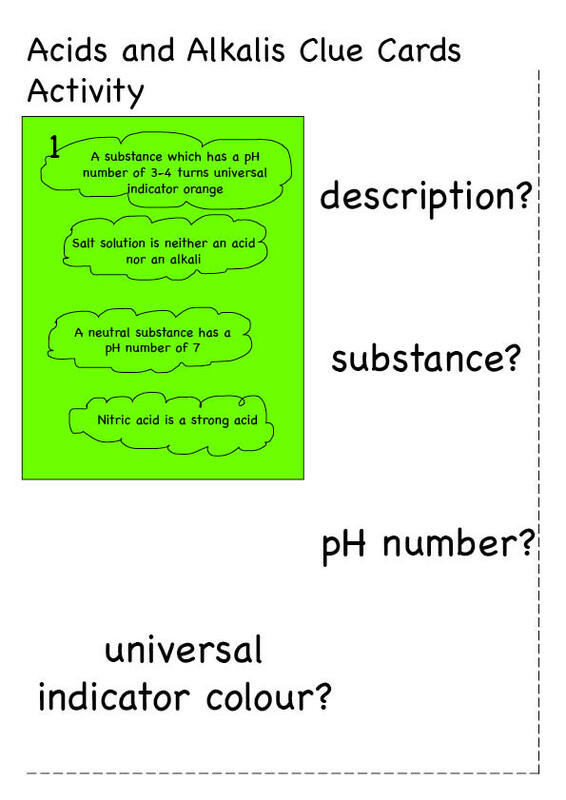 Activity to teach the Ph of different substances. Sorting activity around descriptions of different elements leading to guessing the properties of mystery elements. 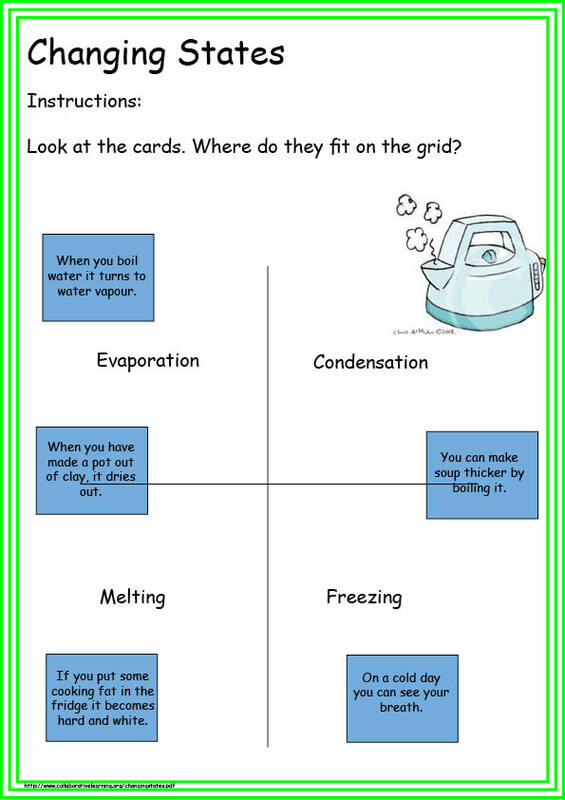 A clues activity and a follow up connect four game on the properties of gases. 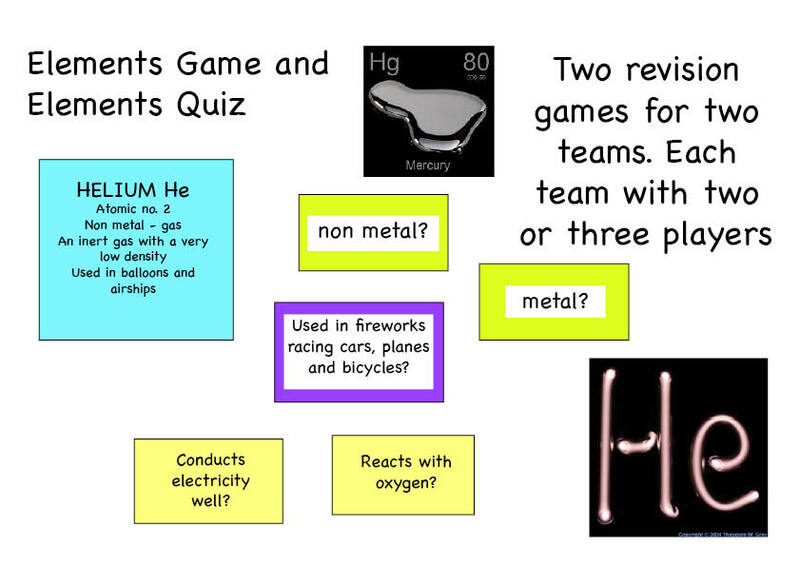 A card activity and aquiz to help students remember the symbols, properties and uses of 12 elements. 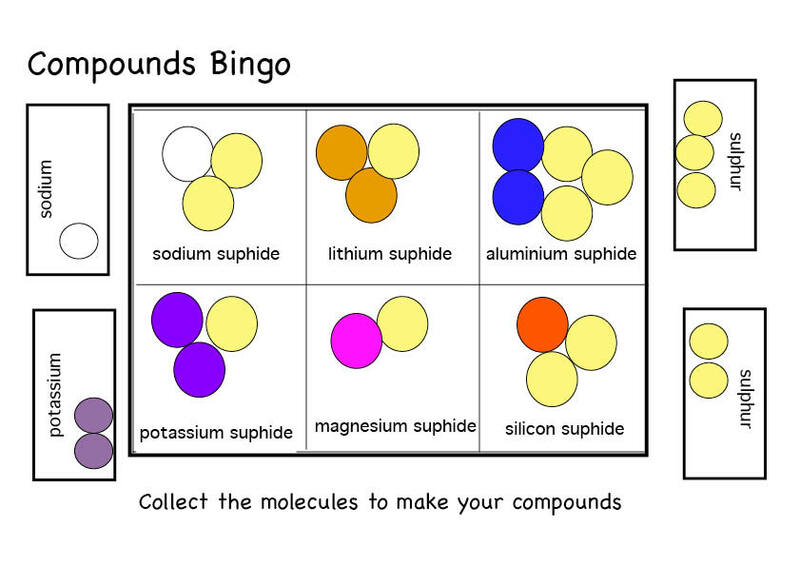 Game involving bingo and pelmanism to collect the correct number of molecules to make up compounds. 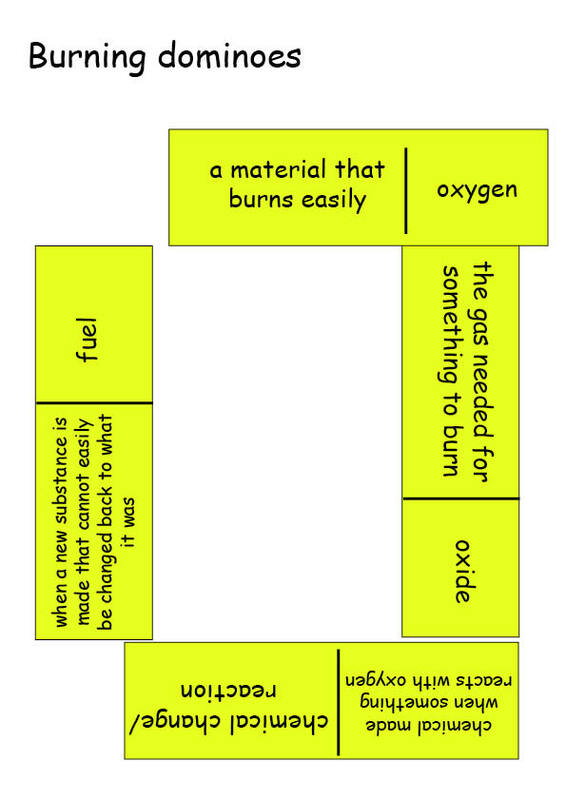 We are currently revising all the science activities and putting them in this new format. Biology activities are here. Physics activities are here and the general activities are here. To find activities for other subjects go here. The old webpage with the activities not yet revised please is here. Go here to return to the homepage. This link will take you back to the top of this page.